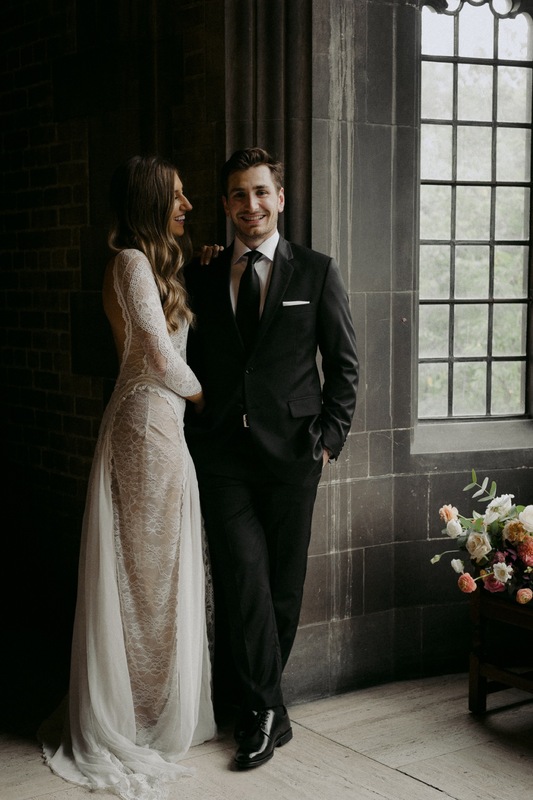 This year, another dream came true for me -to shoot a Hart House Wedding at the UofT campus in Toronto. Not only did Giulia and Dylan trust me to document their perfect day, but they also helped remind me, in an indirect way, why I do what I do and the kind of impact photography can have. On the morning of Giulia’s wedding, her beloved Zia, who wasn’t well enough to attend the wedding proper, popped by to see Giulia in her dress. I followed the family out to the car and was careful to document the little exchange between her and her family. At the end, Zia said goodbye with watery eyes and a sweet little wave. A few short weeks after the wedding and before Giulia and Dylan had received their photos, Giulia texted to say that her Zia was in the ICU and that family was thinking she may not last the night. She was hoping to have some photos to share before she was gone. While my heart was breaking for Giulia’s family, I felt grateful knowing that I could give her some very special memories. This is what it’s all about for me. As always, I’m a photographer of few words. I would rather my work speak for me.